Quirkyalone is a book that has its own holiday and a movement. A person who enjoys being single (but is not opposed to being in a relationship) and generally prefers to be alone rather than date for the sake of being in a couple. With unique traits and an optimistic spirit; a sensibility that transcends relationship status. Also adj. Of, relating to, or embodying quirkyalones. See also: romantic, idealist, independent. Are you a quirkyalone? Do you know someone who is? Do you believe life can be prosperous and great with or without a mate? Do you value your friendships as much as your romantic relationships? Do gut instincts guide your most important decisions? Are you often among the first on the dance floor? Coupled or single, man or woman, social butterfly or shrinking violet, quirkyalones have walked among us, invisible until now. Through the coining of a new word, this tribe has been given a voice. I coined the word “quirkyalone” in a 700-word essay published in my own magazine To-Do List and then Utne. The essay inspired such a huge reaction that it led me to write this book, to create International Quirkyalone Day and to found the quirkyalone movement. It’s about preserving solitude in an era of hyperconnectivity so that you can be comfortable and full alone, and therefore fully present with another human being. 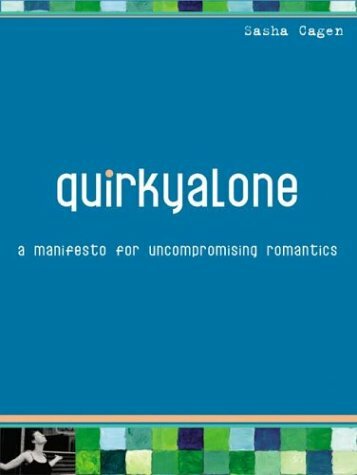 A quirkyalone can also be quirkytogether (quirkyalone in a relationship). Or a quirkyslut. A quirkyslut maintains high standards for a romantic relationship, but becomes more flexible for the Saturday (or even Tuesday) night encounter. International Quirkyalone Day (Feb. 14) is a DIY celebration of romantic, friendship, and independent spirit. International Quirkyalone Day is not anti-Valentine’s Day. It just happens to fall on the same day. Couples as well as singles are invited to attend. 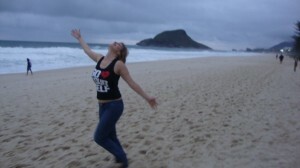 International Quirkyalone Day is a grassroots movement. It’s been celebrated in over 40 cities across the four continents since 2003.